A Macstudio smile on the cover of the JCD! What an honor and unique holiday gift for our team! Having one of our cases featured on the cover of the JCD by the American Academy of Cosmetic Dentistry. 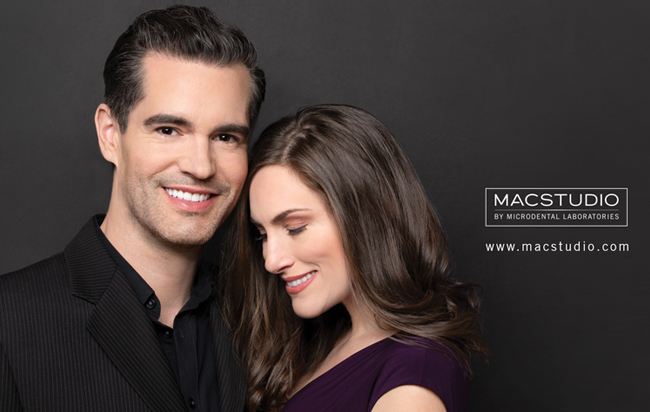 Congratulations to Dr. Jerry C. Hu on the exceptional anterior cosmetic case for patient Laura Garcia, and MicroDental Laboratories’ Karsten Klimmek for the beautiful Macstudio restorations. 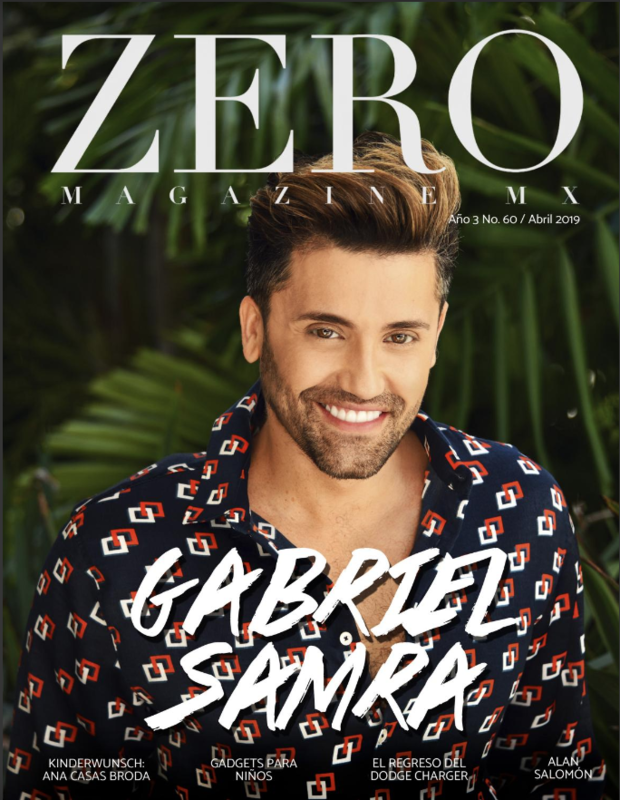 The magazine also includes an article that details the restorative process of the case. Featuring Thomas' handsome smile rejuvenation by Dr. Sheeba Robert, Humble, TX, our new Journal of Cosmetic Dentistry ad is out. Macstudio restorations by MicroDental Laboratories. A smile can be a beautiful reminder of the simple joys in life. There’s nothing like this healthy, youthful expression from Antonia to make our day brighter. Dentistry by Kiran Rapal of Saratoga, CA (www.lovemysmile.net). 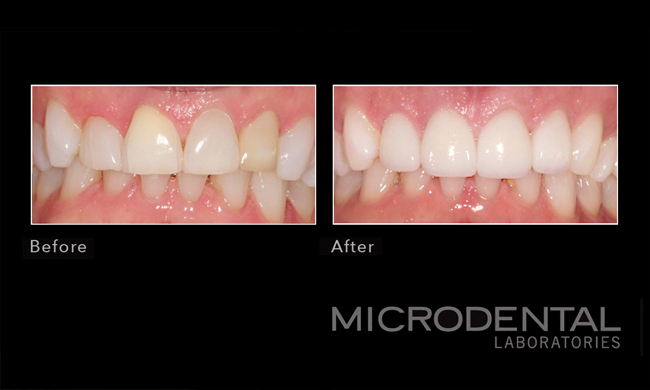 Macstudio restorations by MicroDental Laboratories. 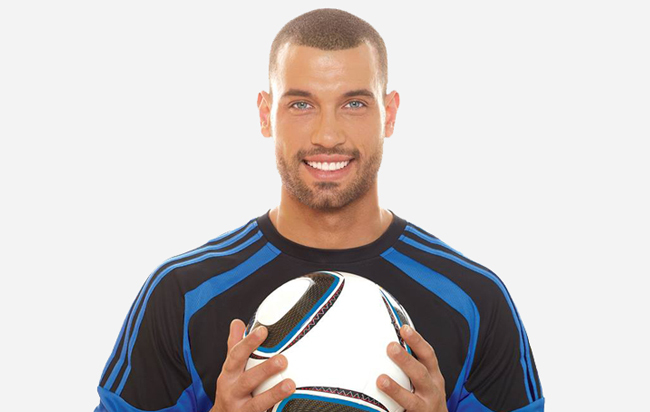 We love how the World Cup unites cultures from around the world and gives us all something to smile about. Yones is ready to let the games begin with his energetic smile, dentistry by Dr. Alex Naini of Aesthetic Dental Spa in Vienna, VA. Check more inspiring smiles at www.macstudio.com/winners. 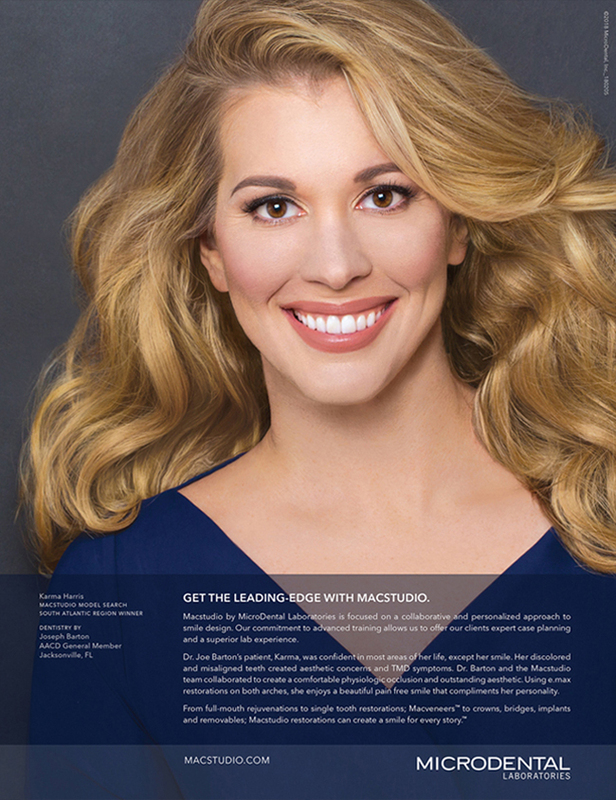 Our new Journal of Cosmetic Dentistry ad features Karma Harris' dazzling smile rejuvenation! Dentistry by Dr Joseph Barton, Jacksonville, FL (admiradentistry.com). Macstudio restorations by MicroDentalLaboratories. 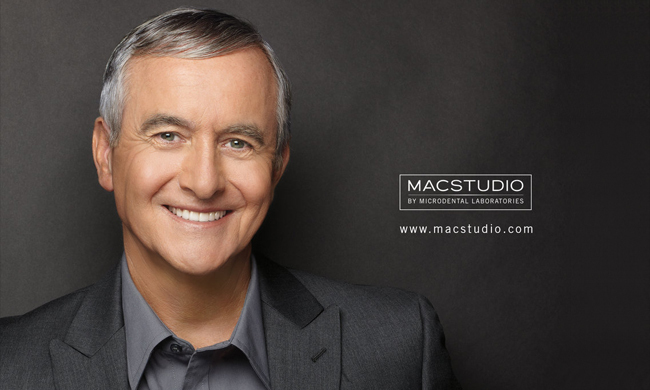 Macstudio restorations fabricated by our talented MicroDental technicians are an excellent option to restore function, and to rejuvenate the appearance of teeth. Dentistry by Dr Darce Slate, Rocklin, CA. 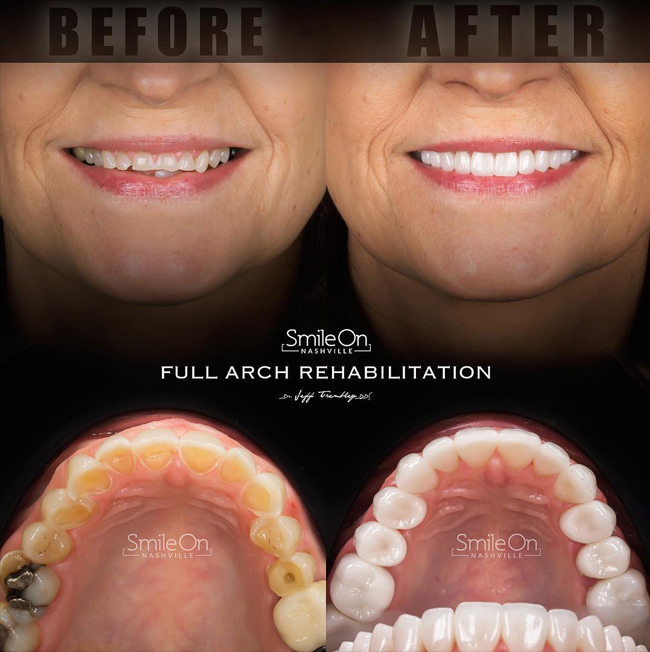 Upper arch rehabilitation for severe wear/erosion. Dentistry by Dr Jeff Trembley at Smile On Nashville (smileonnasville.com). Alveloplasty & Gingivectomy by Dr. Rob Pulliam. Macstudio restorations by MicroDental California. Macstudio restorations fabricated by our talented MicroDental technicians are an excellent option to restore function, and to beautify teeth. Dentistry by Parker Dentistry, Ladera Ranch, CA. 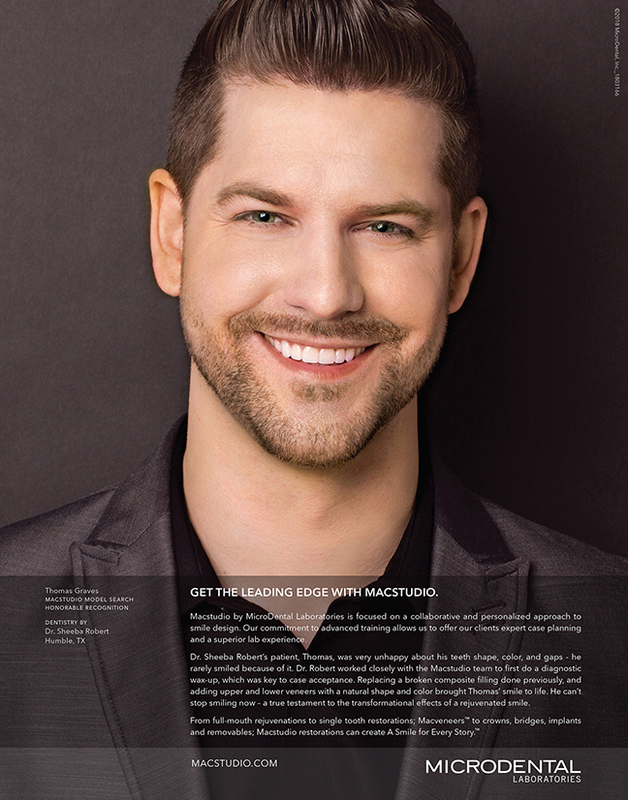 Our new Journal of Cosmetic Dentistry ad features Jason Benney's handsome smile rejuvenation! Dentistry by Dr Robert Klaich at Cranberry Dental Studio (cranberrydentalcare.com). All-ceramic veneers fabricated by our world-class MicroDental technicians are a great option to rejuvenate the appearance of teeth. Dentistry by Smile Source Member, Dr. Mike Maroon at Advanced Dental. 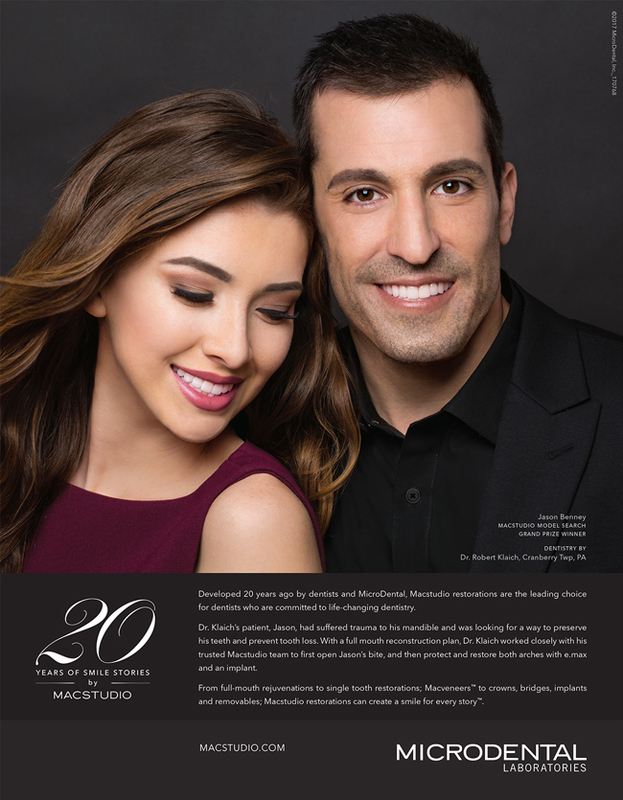 20 Years of unforgettable Macstudio smiles! The celebration continues with our new ad on the back cover of the Journal of Cosmetic Dentistry! Here’s to many more years of partnering with dentists to enrich patient's lives through healthy and rejuvenated smiles! Macstudio, a smile for every story.